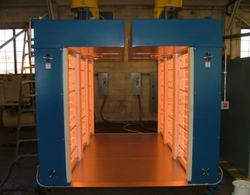 Our product range includes a wide range of infrared oven, industrial heavy duty oven and air circulating oven. Infrared radiation is popularly known as "heat radiation. 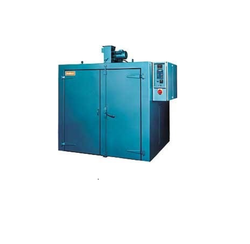 We have gained immense expertise in delivering Industrial Heavy Duty Oven to our clients. The offered range of industrial heavy duty ovens is available in different designs, shapes, and sizes to cater to the diverse requirements of esteemed clients. Along with this, the offered range of industrial heavy duty ovens is suitably checked on a number of characteristics to ensure its conformation with the benchmarks of quality. 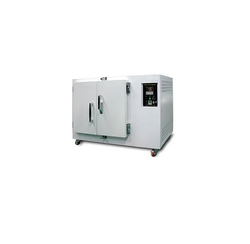 With the excellent support of our brilliant professionals, we are engaged in presenting Air Circulating Oven. The provided double deck is manufactured using stainless steel sheet, and frame coated with fire and heat resistance paint. This oven has microcomputer digital system, heat burners and below the deck, and robust glass window along with friendly control panel. Also, the computerized digital system cut off the electric source once the backing is over.